Well, we established yesterday that the SL3 as a route isn't as great as it might've seemed to be. Are the stations any better? Let's take a gauntlet-style look at all of them! The inbound platform at Chelsea. We begin with Chelsea, and we'll use this one to describe what you get with every stop. There's a modern shelter, bike racks, an emergency blue light, some maps, a wastebasket, and some benches. Most stations have a form of countdown clock (or at least, signs that tell you how frequently buses are coming, but I assume they'll be countdown clocks eventually), but Chelsea doesn't have any yet. So instead of using the money to, say, install controlled signals at the intersections with side streets, we instead get an outbound platform that's identical to the inbound one. Where no one is allowed to wait. Alright, sure, that makes lots of sense. By the way, although every SL3 station has buttons that release heat into the waiting area (very cool), one of the two heaters was completely broken on the inbound side, while they both worked perfectly on the outbound side! Well, glad that worked out the way it did! I'm sure the 0 people waiting for an outbound bus will benefit greatly from this. Chelsea does have an advantage over the other stations because it has bathrooms. Well, it will...they were being worked on at the time, but I'm sure they'll be really nice when they open! As a final note, this station is right next to Market Basket, but there are no pedestrian markings across the parking lot to get there. At least a crosswalk would've been much appreciated, especially since there is signage from the Market Basket bus stop to the Silver Line station. The second-ever trip on the line beginning its journey to Boston. Ridership: It'll be hard to judge ridership for these, but this was the busiest station I saw throughout the day. That doesn't mean much, though - most of the people from here are probably just out to ride the route to the end. Pros: The default station for the SL3 is great. I like the shelters, and there are plenty of amenities provided beneath them. Chelsea has the added bonus of bathrooms as well! Cons: Do we really need the big fancy shelter on the outbound side? I have no idea how much these things costed, but I doubt it was low enough to justify building a completely unnecessary one! Also, better pedestrian markings to Market Basket would be very helpful - right now, it's just a free-for-all. Nearby and Noteworthy: The Mystic Mall, of course! Honestly, why the heck is this station called "Chelsea"? It makes a lot more sense to name it after the mall - it's not like the Red Line stops are Harvard, Porter, Davis, Cambridge. So yeah, the Mystic Mall. Chelsea has the basic structure that all the other stations have, but it's points off for the useless outbound shelter, the lack of markings to Market Basket and the rest of the mall, and the ridiculous name. That being said...bathrooms are nice! The outbound platform at Bellingham Square. Because of space, Bellingham Square is a staggered station. The outbound side is closest to Arlington Street, as well as the Chelsea Commuter Rail station, and it has the classic arrangement: shelter, benches, heat, maps, etc. Can I ask once again: why was this shelter built? The number of people going outbound from here is likely a very small one - certainly not enough to necessitate this shelter! Currently, there's no way of getting from this station to Washington Street, but that's being amended by a new ramp that's being built. I wish the ramp had been open by the first day, but, uh, I guess not. Oh well, eventually it'll be nice to have! Ridership: This will probably end up being the busiest station, since it's the one closest to dense Bellingham Square. Also, in absence of a Wonderland Commuter Rail station, this is now the best way for Newburyport/Rockport Line customers to get to the airport! Pros: It has all your typical amenities. Once the ramp opens, it'll be great to have two separate entrances from here. Cons: Again, we really don't need that outbound shelter, and the money to build it could've been spent elsewhere. Not having the ramp done on the first day is kind of a bummer, and it's also really annoying that they don't show this station's connection to the Chelsea Commuter Rail station on the subway map. Nearby and Noteworthy: Bellingham Square, of course! Lots of businesses down there, and some bus connections, as well. Yeah, I dunno, I'm feeling another 6 with this one. The outbound shelter is once again unnecessary, and it's pretty bad that the ramp couldn't be completed by the first day. We'll call it a 7 once that ramp opens, and also, can we please have a transfer blob between this station and the Commuter Rail station? It happens with every other Commuter Rail transfer. Broadway marks the beginning of the SL3's multi-use path, and that takes us down a long hill to Box District Station! I wish there was a proper T logo at the entrance at Broadway and not just a tiny sign with an arrow saying "Silver Line," but I guess it works. As we go down the path, we find the station's bike racks at its entrance. Well, this one is nice! This station looks a little different from the others, since its two shelters are connected. It looks awesome, but other than that, everything else is the same. We've still got the benches, the wastebaskets, the heat, the maps, and everything else. Spying on a bus leaving the station. Ridership: I'm not sure what it'll be like for this one. There are some TOD apartments right nearby, and plenty more dense housing to the south. To the north, it's industrial, so I doubt too many people will come from there. Pros: The station is pretty unique aesthetically - I like the big canopy. Other than that, everything here is the same, which is good as far as amenities goes. Nearby and Noteworthy: Mostly just apartments. There isn't too much to visit from this one. This is the best one so far. The canopy does look really cool, and as we get further down the line, the outbound shelters get at least a little more useful. Okay, better not go into the restricted area...although I've done it before. The Massport 77 turns around here as well, and its stop is right next to the station. There's a sign saying not to go in there because it's an employees-only area, so we'll discuss it from afar. There isn't much outside, but a waiting room inside the Chelsea Employee Garage provides all the amenities anyone would ever need. It's probably nicer to wait at than the Silver Line station! Unfortunately, it seems that the hyper-frequent 77 often blocks the Silver Line, which is BAD. Ridership: Well...we've got parking lots to the immediate north and west. There's an industrial area to the south. Water to the east. Yeah, probably not too high. Pros: Basically the fact that it's got the same amenities, and that's about it. Cons: So, the 77s seem like they're, uh, kind of a problem here! Ideally they would wait in the turnaround loop, but it seems like they, uh, don't do that. I guess they now a Paul Revere employee stationed there to direct the buses, but it seems like bad station design if someone has to be stationed to do that! Also, annoyingly, the multi-use path curves around to the street without actually serving the station, forcing people to walk around to get to it. It's not the worst thing in the world, but it's strange that that decision was made when building it. Nearby and Noteworthy: Like I said, it doesn't seem like much is around here! I mean, there's...an airport hotel? Yeah, this one isn't great. It has the problem with the 77s, it has the weird path, and it doesn't even seem to be serving much. I'm sure people are willing to walk here from the apartments you eventually get to going west, but just looking at a map, it seems like more would've been served if the station had been placed further northwest. Finally, this is the station everyone is going to hate, because it's the one where buses have to wait if the drawbridge is up! Alright, it would appear that Airport Station didn't get any kind of modernization. So...we've still got poles with paint peeling, rusting benches that have been here for years, and maps that don't even say that the SL3 exists. Our one indication that a bus stops here is the smallest berth signs ever that hang from the roof of the shelter. One word for this is...problematic. Ridership: This is gonna be a huge station for outbound ridership. The fastest way to get to the city using the SL3 is definitely Blue Line to Airport, then getting the bus from there. 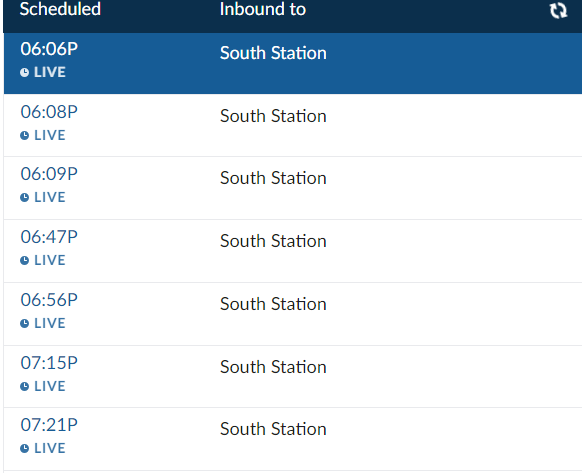 Pros: The free transfer to the Blue Line works even with CharlieTickets. Too bad none of the SL3 stations have fare machines, though - no one will actually be able to get one. Nearby and Noteworthy: The airport! Yay! But there's also an awesome neighborhood on the other side of the station. I mean...yeah, at least the busway is functional, with plenty of benches to sit at. As for everything else, this one is no good. Come on, they've been updating maps all over the system, but they couldn't bother here? Geez! Alright, so that's the state of the stations. It seems like a common theme between them is that they were rather overbuilt, with far too elaborate outbound platforms. As for the actual service, how is it doing? Okay! Good luck tomorrow morning, SL3! You'll need it! I assume the slightly unnecessary shelters are to make it seem as though "BRT" has been done 'correctly'. Or maybe they are thinking of running buses further than Mystic Mall eventually... towards Wellington, I mean (not sure how much room there is in the ROW). I think Jeremy is right. They started thinking BRT will need shelters but they didn't install the payment system to enter the waiting areas because the new fair collection system is coming. Before the Wynn scandal, there was talk of extending SL3 to the casino in Everett. No idea where that stands now. I like that they have heaters but it's stupid to have them and not have doors. You are just wasting energy heating the outside. At least the green line waiting areas have sliding doors. The door should have a sensor to turn off the heater when the door is open to encourage people to do the right thing and close it. They probably left the station as Chelsea because shopping centers/malls come & go or change names all the time. Also to note on Evan's comment. Those heaters are radiant so it'll warm up anything under it regardless of being outdoors. That's how it was designed & having an enclosed heated shelter is an open invite for squatters etc. There's not enough room to make the commuter rail station accessible where it is now, so it's moving to "Chelsea" Station in phase 2. Also getting signal upgrades and TSP as part of that. There are long running aspirations to extend this run so they probably built the outbound shelters in anticipation.